With vein treatment training you could add a new skill set to your practice. Plus produce grateful, enthusiastic patients. For a wide-open, commonly presenting, not well met need. Over a lifetime around two thirds of women will suffer from varicose veins. For men it will be about half that. About a fifty percent incidence over all. With past treatments having focused on surgery for the more severe cases many have missed out. Yet they feel that is their only option. While the great majority of medical professionals feel that’s still the best management choice. I have talked about this already in the site. That surgery actually falls about third position in its long term efficacy. What about the other more effective modalities? That’s endovenous laser and sclerotherapy approaches. All office-based, walk-in walk-out, allowing people to remain in their work while undergoing treatment. But what about the most severe cases? Surely they cannot be helped apart from surgery? Research doesn’t bear that out. Even my early medical experience was of sclerotherapy being only a holding pattern until definitive surgery was used. But that was within the English-speaking based system. Without the finesse of European thoughts and methods. That’s where vein treatment training is so emancipating. For everyone. The physician, the patient, and society as a whole. I was busy in a family-based medical practice. General practice in some countries. That with a good proportion of GP obstetrics. Until funding changes skewed the delivery playing field. Many of us got out of a broken system that showed no signs of a will to be healed. GP obstetrics had been rewarding. Once out, yes it was great to not be on call 24/7. To no longer have regularly broken nights. To be able to go out with the family without the underlying possibility of being called away any time. My initial experience of deliveries was that of natural anxiety and stressful lookout for any complications or warning signs. It twisted my perception initially. But over years, and watching my own children go through the process, I could relax more. Even enjoy it. There was satisfaction in a well-managed delivery. A partnership with the expectant parent or parents. Not to mention the long-term rewards of seeing a new-born become an individual and make their own way in the world. There was a joy communicated by the new family. Even excitement. Such were the rewards once through the care and fear. As I cast about for an alternative to fill the hole the loss of obstetrics produced, I considered many options. From administration and practice problem solving to other technical challenges. Nothing seemed to fit really well; to give that deeper satisfaction. Then one day, at a continuing medical education meeting, I saw some vein treatment training being shared. A demonstration of sclerotherapy actually. Specifically for more cosmetic spider veins. It intrigued me enough that I wanted to know more. Just like how I had seen in the years before how simple spinal manipulations could instantly relieve problems in a number of my patients. Here was a segment I knew already existed where I would now be able to meet their need. If I learned the system. Avoiding a simple introduction by having around three patients demonstrated on and then going for it, I plumped for a deeper immersion option. I had the option to do vein treatment training with a highly experienced, skilled and respected physician. Spend time learning directly from them. Observe their range of patients and management of them. I went to Australia to the president of the then Sclerotherapy Society of Australasia. In Broadmeadow. Near Newcastle in New South Wales. Dr Paul Thibault had come from a similar background to mine. He had learned how to apply European techniques in managing vein problems. In a full-time clinic, combining vein treatments with a few other procedures. He was highly respected around the world. He had researched, authored and co-authored articles and research papers with other vein treatment luminaries around the globe. By sitting in with him through his clinics, receiving individual instruction, seeing his systems and follow-ups I accessed a much richer vein treatment training program. Enhanced with a cross Pacific conference between the Australian and Canadian societies. Together these enabled me to confidently begin treatments. Initially it was for my own patients. Just for those cosmetic spider veins, usually based on the early developmental lateral vein system. 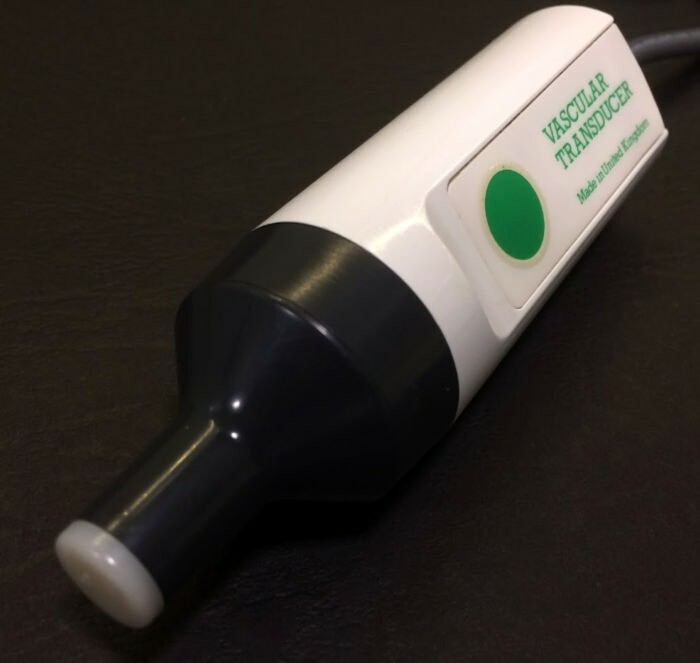 Using a hand-held vein doppler probe I could eliminate any obvious saphenous junctional and similar problems. Later I would realise I could miss significant underlying problems in this simplistic way. But the results were staggering. Patients were wrapped. Even ecstatic. Not only themselves but also their partners who would comment on the changes they observed. It was the sort of heart-felt response and long-term benefits I used to see with my obstetric patients. Very rewarding all round. I decided I could help others outside my practice. Those who also had the same problems. Yet did not have an avenue for treatment. Very rapidly this built to a stand-alone clinic. That grew from two days a week to full time in around a year. More people were seen. The word spread. Around the world management techniques were improving yearly. International conferences would always have a novel refinement or two. These enabled me to grasp new approaches for a vein clinic. Variations on funding and other limitations produced innovative strategies. Some were extremely useful. Others not so. Quite soon laser was added. Seeking an even more effective result. Beginning in London as a rather experimental approach, it rapidly refined itself. Its efficacy rose. 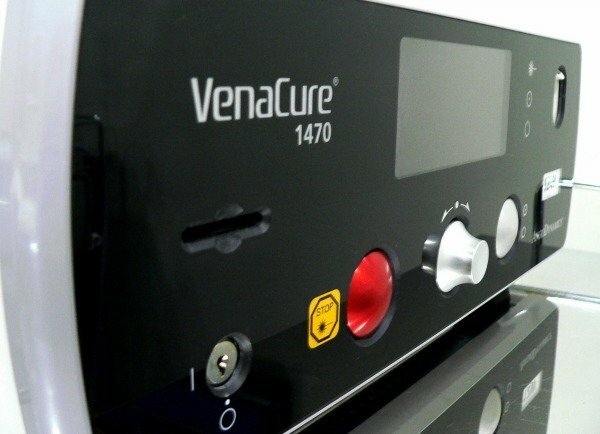 Even with the increased cost of the procedure it soon declared its place in regular management of varicose veins. Once it was well-refined, I took it on board. Its usefulness and effectiveness encouraged me to use it more and more. 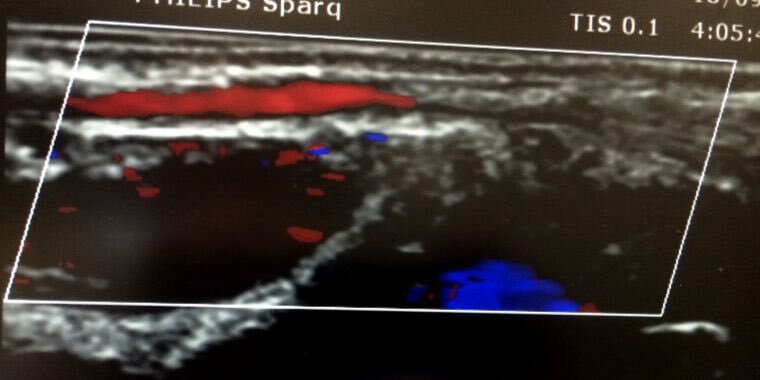 Now with over twenty years of treating many patients with veins and refining techniques I feel I have something of value to share with others. In offering vein treatment training to other physicians I feel I can help many more people access really effective solutions. Without down time, with minimal life interference. As well as great outcomes. For physicians with all their years of experience, adjustments and feedback, I feel there is now a solid, well-established system out there. It’s methods are not going to change too rapidly from where they are now. Yes, there are new ideas all the time. New techniques. New agents. But it is extremely difficult to better what is now available. Even though this is so many people around the world do not have access to such effective options. Many physicians would like to be able to offer something so dramatic in their practice. They would love supremely grateful patients. Those who felt there was otherwise little better they could expect for the future. That’s why I’m raising the idea of sharing vein treatment training. For those who feel it would be a good fit for them. Such treatments can be office-based. They do not need to be practised in a surgical theatre environment. When you know how. With the magic of computers and the internet such a vein treatment training program could be available right where you live. In home or at your office. Or both. Possibly there could be even more immersive or connecting options. If the idea of being able to be part of such a vein treatment training program sounds exciting to you, let me know. Or even if you would like to know more. Just comment on the video with this page. Or in the Facebook comments section below. If you would prefer some other avenue also feel free to let me know. I only want to be offering such a vein treatment training program if there is a strong desire for it. If you can see it would be great for you and your community. Feel free to comment or ask further questions. It’s up to you.